"I am more than capable of managing my own life!" Stormed Sara Belding as she showed Brant Deverleigh the door. At two and twenty, the headstrong young beauty had no use for a meddlesome guardian. Especially one whose dark gaze and mocking laughter left her trembling like a silly miss. With a defiant toss of her head, she made her position quite clear to the devilish Deverleigh, and then assumed she had seen the last of him. But alas, poor Sara had underestimated the strength of her opponent's resolve. 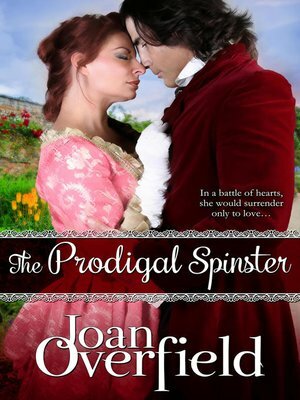 For Deverleigh wasn't about to let a willful little Spinster make a May game of him. Whether she like if or not, the amber-eyed witch was his ward. And he would see to it that she was properly wed, even if he had to marry her himself!